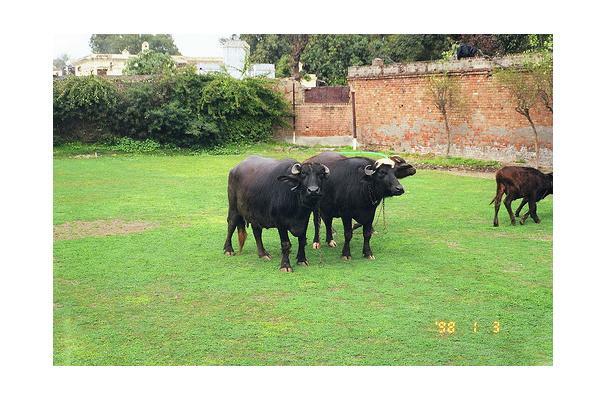 : Buffalo milk is commercially more viable than cow milk for the manufacture of fat-based and SNF-based milk products, such as butter, ghee and milk powders because of its lower water content and higher fat content. Most significantly, the lower cholesterol value should make it more popular in the health conscious market. By the virtue of greater opacity of casein miscelles, coupled with higher levels of colloidal proteins, calcium and phosphorus, buffalo milk is more densely white and has superior whitening properties as compared to cow milk. Therefore, unlike the cow milk (which is pale-creamish yellow in color) and cow milk fat (which is golden yellow in color), buffalo milk is distinctively whiter. UHT-processed buffalo milk and cream are intrinsically whiter and more viscous than their cow milk counterparts, because of conversion of greater levels of calcium and phosphorus into the colloidal form. Buffalo milk is, therefore, more aptly suitable for the production of tea and coffee whiteners than cow milk.Higher innate levels of proteins and fat render buffalo milk a more economical alternative to cow milk for the production of casein, caseinates, whey protein concentrates and a wide range of the fat-rich dairy products.